In this photo, I was styled in an Ille De Cocos soft Mongolian cashmere jumper. Ille De Cocos is all about quality - they use finely spun Italian wool and the brand is very understated. I chose an Anna Pugh rucksack to add to this look, from their gorgeous range of handcrafted luxury leather handbags. I paired this with a Marlow London silk scarf. Marlow London combines conceptual art with fashion and uses printing techniques , for example this piece I absolutely loved, a rather politically relevant 'Dollar Scarf'. One brand that I’ve been following for a while has been contemporary womenswear brand Simo Collective. 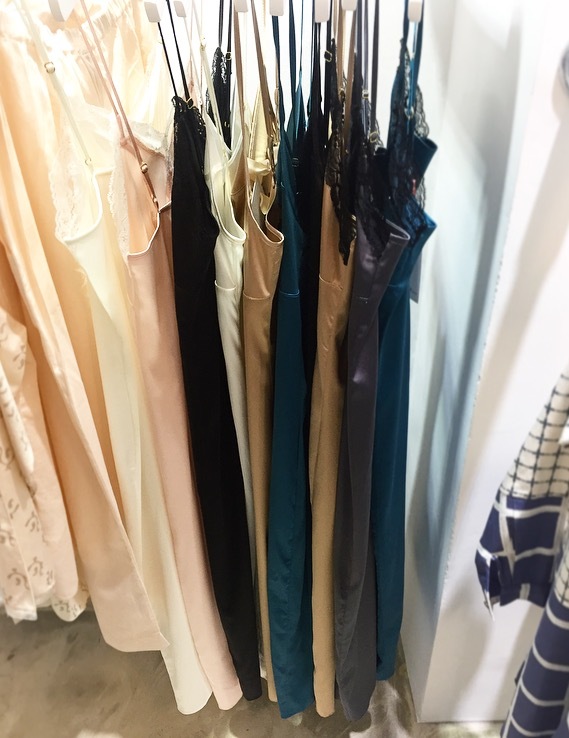 Simo’s elegant clothing can be taken from workwear to evening wear, another reason to love the brand. This is their chic black Dart dress. Another look that I really enjoyed wearing was the layered look - the classic black Simo cape paired with an organic cotton Eight Hour Studio shirt dress. Eight Hour Studio are a brand recognised for their luxury loungewear. Each collection is limited edition designed in London and then hand carved into wooden blocks and stamped onto fabric. The next brand Parasole Rose use the finest silks and French laces in their garments. The brand styled me in a beautiful grey Cami dress - a look which is trending this season. We paired the dress with Rose Rankin luxe trainers and an Anna Pugh metallic clutch bag which really made a statement. 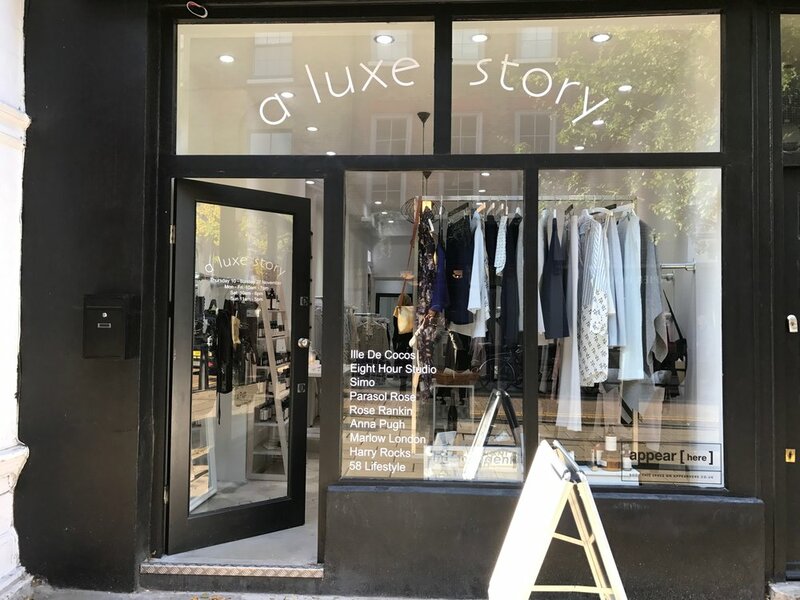 A Luxe Story pop up is open until November 27th. I would recommend a visit if you love discovering stylish, unique and well-made British luxury clothing and accessories.